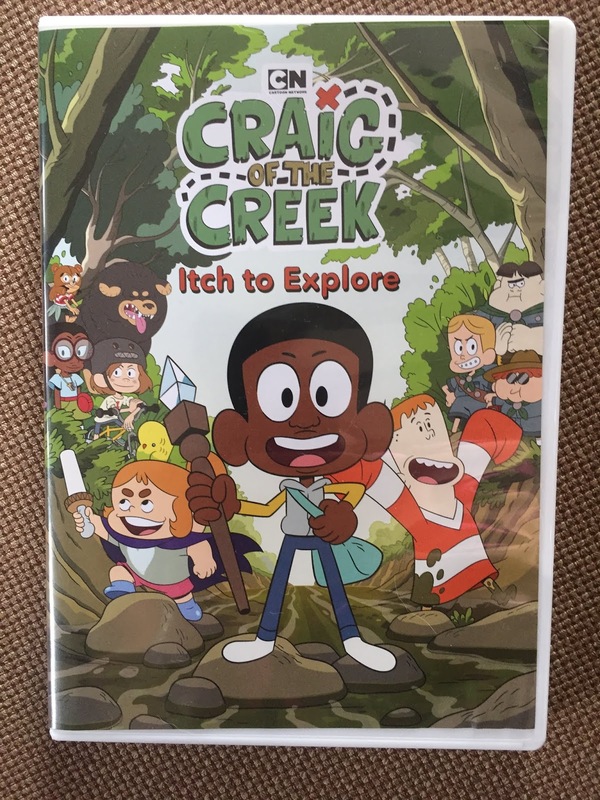 Cartoon Network’s Craig of the Creek Itch To Explore! Season 1, Part 1 is available on DVD today, March 19, 2019. Craig of the Creek: Itch to Explore features 13 episodes from the debut season of the hit show, co-created by three-time Emmy Award-nominated Steven Universe writers Matt Burnett and Ben Levin. The set also feature exclusive bonus content, including animated of the show open and of the episode “The Final Book,” and a video photo gallery highlighting some of the best moments of the first season. 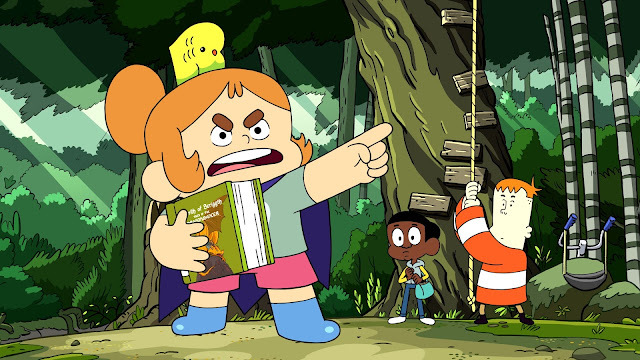 Craig of the Creek follows best friends Craig (voiced by Philip Solomon), J.P. (Michael Cronet) and Kelsey (Noël Wells) as they spend their afternoons playing and exploring around their local creek. Between water balloon fights, exciting quests and tasty snacks at the Trading Tree, they must find their way to the other side of cicada swarms, the Poison Ivy Grove and a never-ending game of tag! The voice cast for the critically-lauded series also features Terry Crews (Cloudy with a Chance of Meatballs. I had never heard of Craig of The Creek prior to this DVD but my kids sat and watched all 13 episodes in one sitting. It is definitely a great show for kids because it shows them the life many of my friends had as children. The life I am always telling my kids about before technology. It is a smart cartoon about spending time outside with your friends. Hanging at the creek, going on adventures, having water balloon fights and never ending games of tag. My favorite character is Kelsey. She is one of Craig's besties and definitely a force to be reckoned with. She narrates her own imaginative stores. She is a little spoiled but I love her and her little parakeet. It is funny for kids and doable for parents to watch too.